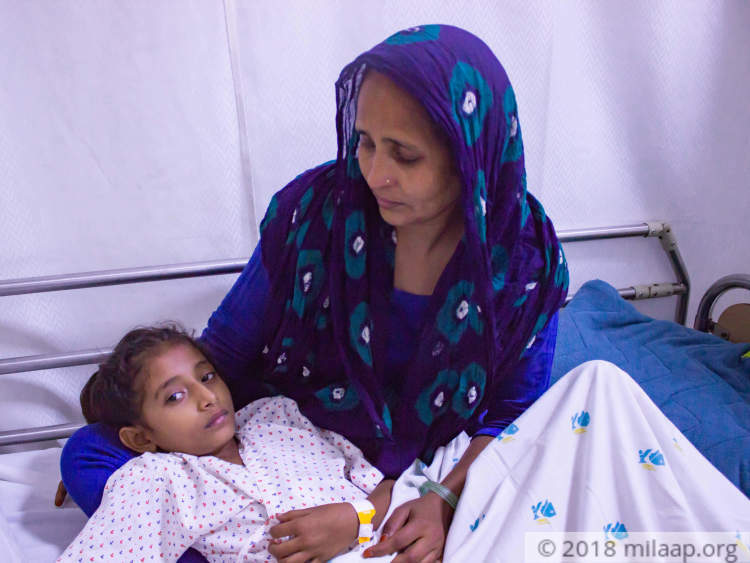 “When Zeenat used to tell me that she has abdominal pain, initially I thought it must be because of some bad food that she ate from outside. But for the past 2 months, my little daughter has stopped eating completely and lost a lot of weight. She throws up every now and then. But the scariest of all, was when I found blood in her urine. Now I have only 24 hours left to save her,” Najish, Zeenat’s mother. 8-year-old Zeenat is the youngest of the 3 children and is the most loved child in her house. Najish has been playing the role of both parents for her children for almost 7 years now. She was struggling too hard to educate her kids and give them a better life. But she was not prepared for such a tough situation. 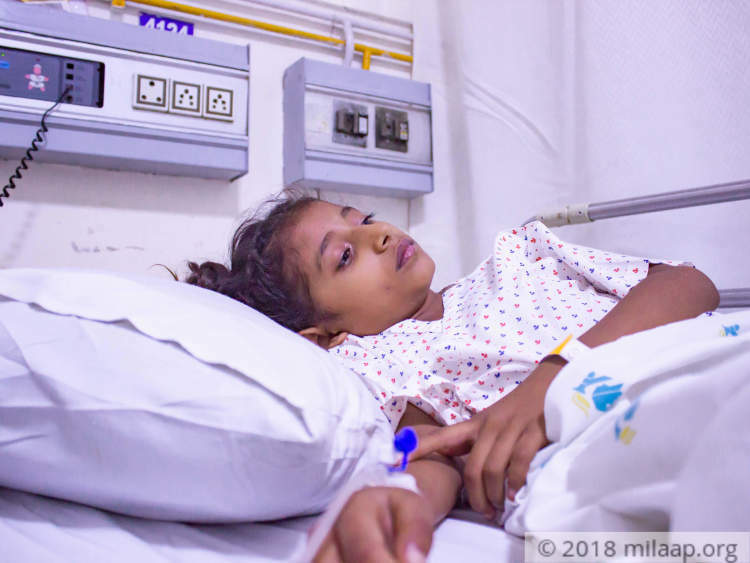 Little Zeenat has a complex condition. She has stones in her kidneys. She also has a duplex kidney, a condition in which there are 2 ureters emerging from her right kidney. This is usually not a complication. 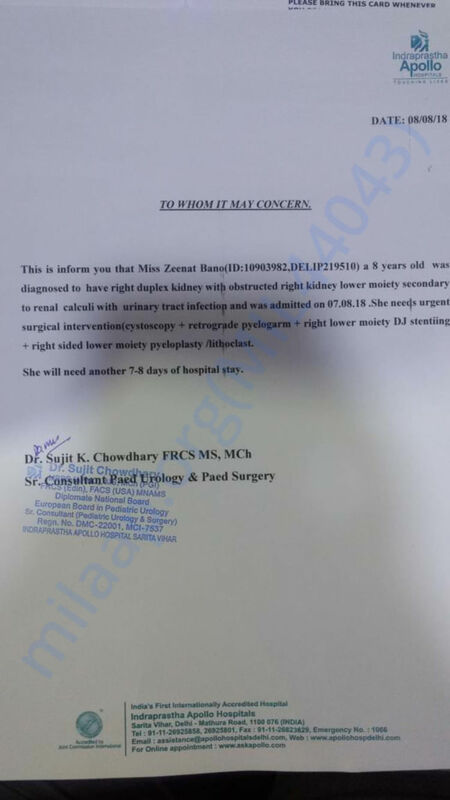 For Zeenat, this condition is a complication because, in one of her ureters from the right kidney, there is an airy space which has stones. Due to the air in that area, the stones try to move which cause her unbearable pain. This is damaging her kidneys very fast and can become fatal in no time. To add on to this, she has an infection in her urinary tract. After her husband passed away, the only thing that gave Najish the strength not to give up was her kids. If she loses the youngest one of them now, she might give up on her will to live. Through her children, she tries to keep her husband alive. She has tried not to shed a tear in front of Zeenat so that she has the strength to fight. Najish’s little income sometimes forces them the family to skip meals. Zeenat is not well nourished and is underweight. One of Najish’s relatives,Farat, has been kind enough to give them sheleter in Delhi and help them through the situation. As a student, she has helped them as much as possible. 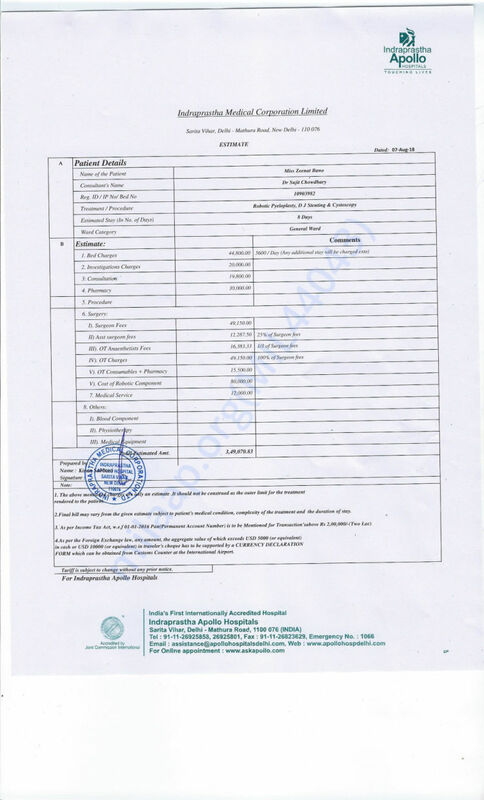 Even Farat’s family is not well enough to give them money for the surgery. 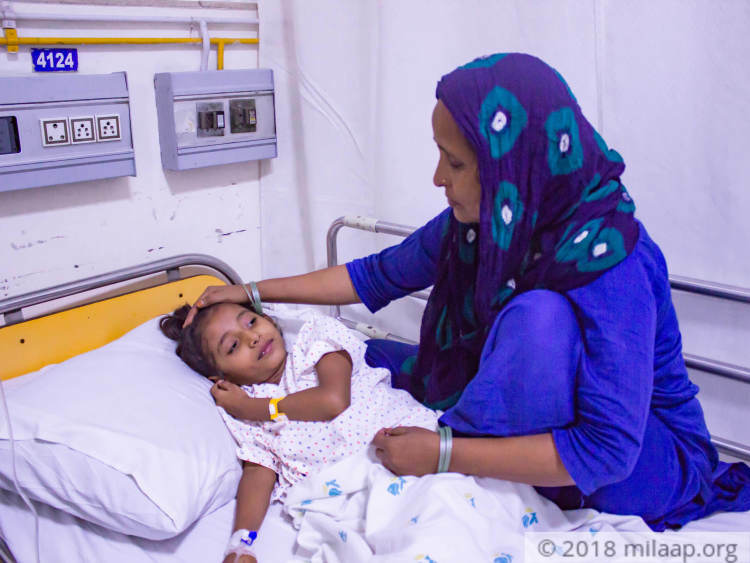 If the surgery is not done immediately, little Zeenat can succumb to her damaged kidneys. 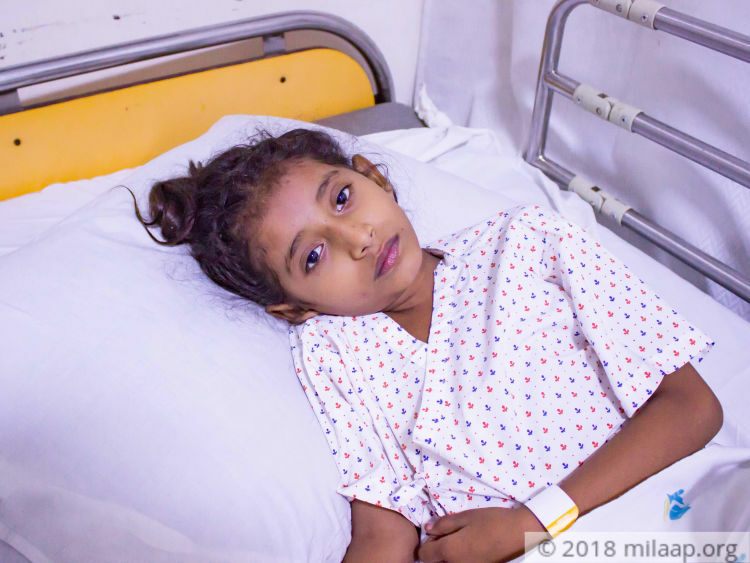 8-year-old Zeenat has a severe disorder in her kidneys and ureters due to which her kidneys are getting damaged. Her single mother, Najish is struggling every day to save her. 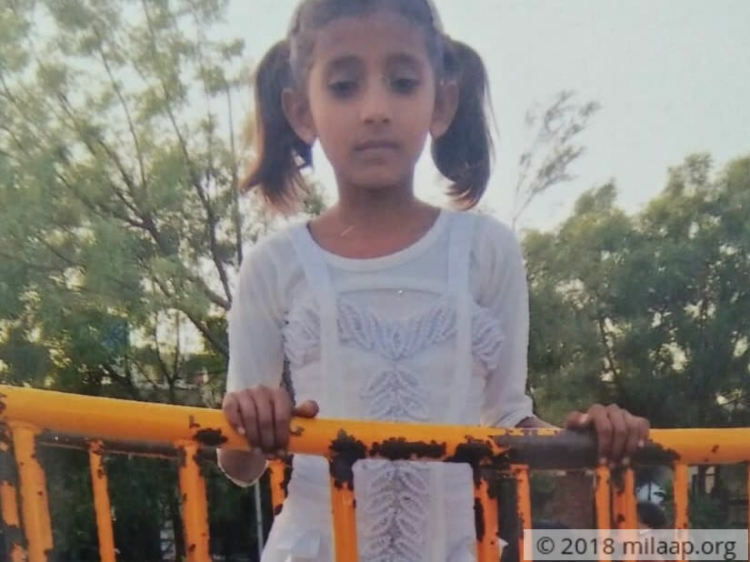 The cost required to save her now is Rs 3.4 lakhs. Najish has no means left to save her youngest daughter. Your support will help this single mother save her little daughter. 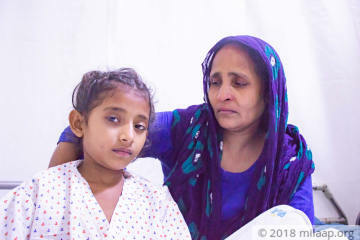 8-year-old Zeenat's kidneys are damaged due to a complex condition. She won't live without support.